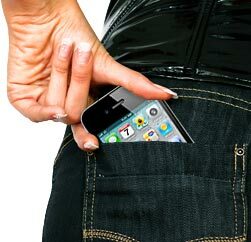 Want customers in your pocket? Be in theirs! Mobile is the way to reach your market and will be the ever more dominant B2C channel for the foreseeable future. It doesn't mean that other avenues of communication are dead, but it is does mean that both worldwide and in the US, the consumer's channel of choice is increasingly a mobile device. So, if you're not ready for mobile, you're not ready to do business. Every hour of the day, new apps are available, mobile web searches increase substantially, and M-commerce sales tally higher - all exciting factors given that the smart phone industry is still in its infancy! As new phones penetrate the market and more power, versatility, sophistication, and ubiquity become the norm, more people will turn to their "mobile" to put information, services, and all forms of interactive social communication at their finger tips. There are two ways to get on-board: mobile apps and mobile web sites, each with pros and cons to consider. And for many businesses, both options make sense. SPIA is well versed at helping clients navigate the ever shifting mobile currents and can guide you to the right solution to capture the attention of your target audience. App, web site, hybrid, or both, on any and all platforms, we help you develop unique and effective solutions at competitive pricing.